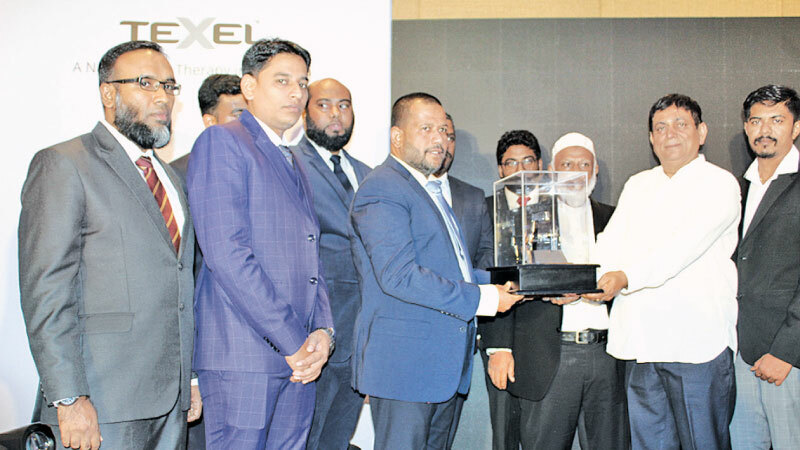 The Bath Touch Metals Pvt Ltd in India appointed Sole Agent in Sri Lanka Astec Bath Touch Pvt Ltd and launched its brand Texel Tap at the Hotel Ramada Colombo recently. Director of the Bath Touch Metals Pvt Ltd Girdhar Donga handed over the Sole Agent Certificate to the Chairman of the Astec bath Touch Pvt Ltd M.Y.M. Zavahir. Chief Guest Minister of Trade and Commerce, Rishad Badurdeen launched the tap at this event. Also launched its official website by guest of honour The Co-Operative Wholesale Establishment Chairman, M. Rizwan Hameem at this event. The brand promoter of the Bath Touch Metals Pvt Ltd Tarun Tawari said they are supplying the products more than 30 countries and they will provide best quality to the customer. Director of the Astec Bath Touch Pvt Ltd M.Z.M. Safras and General Manager Bath Touch Metals Pvt Ltd Garachh Dimpal also addressed the gathering. 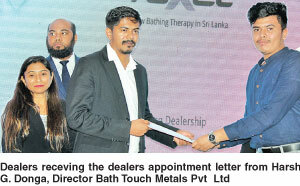 Astec Bath Touch Pvt Ltd also appointed island-wide dealers at this event and presented appointment letter.